Greetings friends! I'm linking up today for the iheartfaces photo challenge of the week. The theme is water. 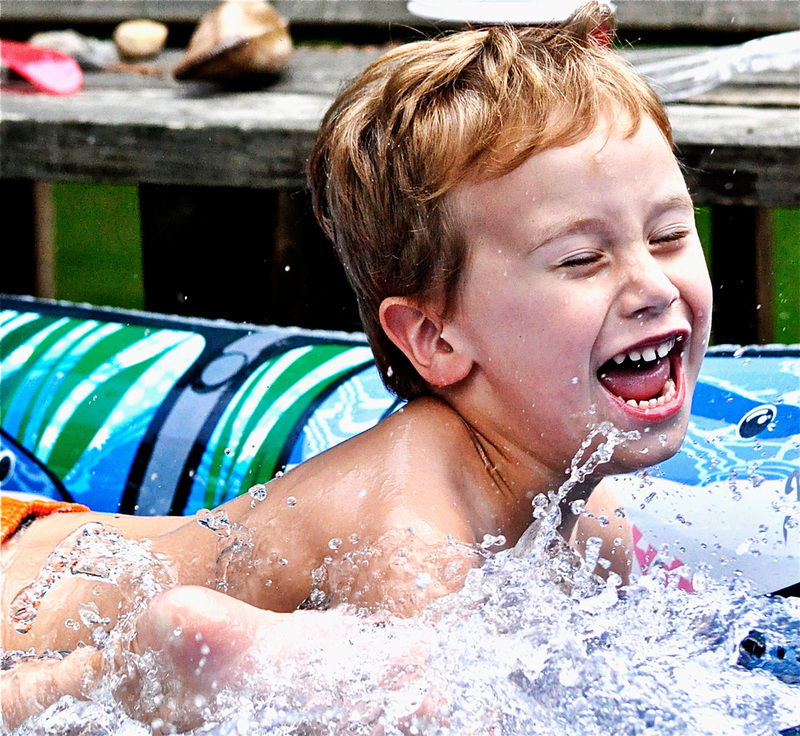 I captured this picture of my youngest son last week as he was enjoying a cool splash in our inflatable pool on a sweltering hot 95 degree day. We hit 108 here over the weekend. Fortunately we've had a few thunderstorms and a little reprieve from the heat. It will be a cool 92 degrees today. How's the weather in your neck of the woods? How do you keep cool in this heat? Thanks for stopping by today. Your comments make my day! Wow, that's fantastic!!! I love this photo! The composition, splay of water, and expression are awesome...well done! What a happy face. Will cheer up anyone! Great capture. What a great shot! Love how the water is in "action"! Well, it sure was hot in hawaii, but not nearly as hot as 108! omg! Popped in to say hi! That's an amazing picture--the expression is pure joy! I love it! Lovely picture. Such joy in his face! Zensational Living Post Card Giveaway! A Thousand Words Thursday - It's Back! Blue Bunny Review and Giveaway!